The Rocky Patel Decade Lonsdale cigar is a full-bodied premium cigar with a soft box press with an Ecuadoran wrapper and binder and filler from Nicaragua. Decade cigars are handmade in Danli Honduras at the El Paraiso Cigar Factory. 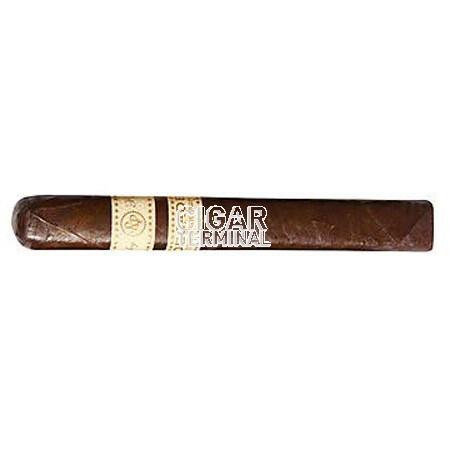 The Rocky Patel Decade Lonsdale cigar is a full-bodied premium cigar with a soft box press with an Ecuadoran wrapper and binder and filler from Nicaragua. Decade cigars are handmade in Danli Honduras at the El Paraiso Cigar Factory. Each box of Rocky Patel Decade cigars says "Against all odds" on the inside, refering to the 10 years during which the Rocky Patel cigar brand has been in business. 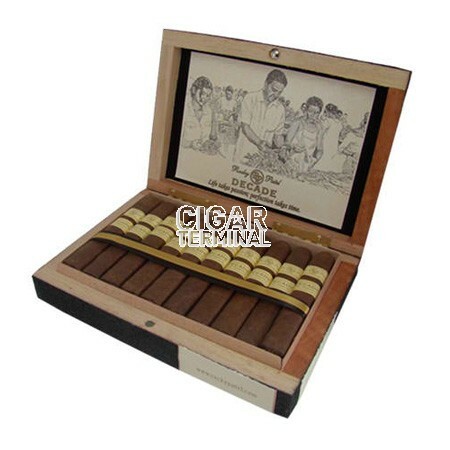 The underside of each Decade box lid features black and white illustrations of Decade cigars being produced.